Also, the city's air quality is at unhealthy levels as of Wednesday morning, according to the Department of Ecology. 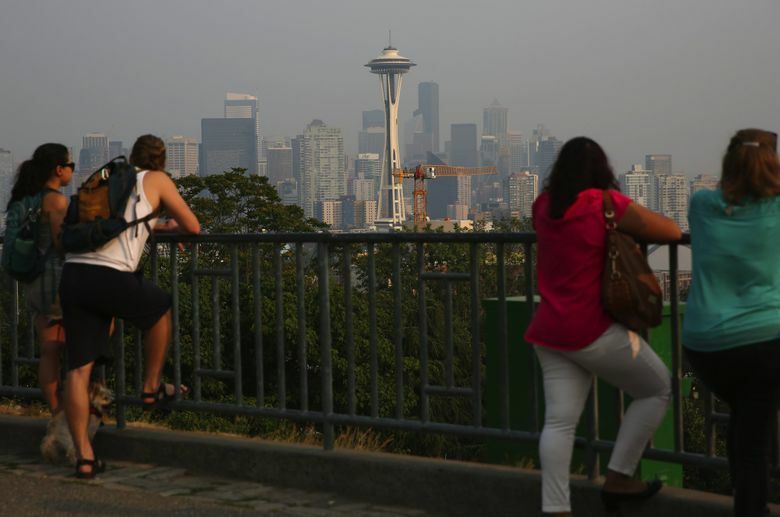 For Seattleites missing rain and clear skies, Wednesday marks a bad-news, bad-news situation. First: Seattle has gone a record-breaking number of days without measurable rain. “Hopefully, it (smoke) should start petering out as we head into the weekend,” National Weather Service meteorologist Art Gaebel said. As far as the dry spell, Tuesday evening marked the 52nd consecutive day without measurable precipitation, surpassing the previous record of 51 days set in 1951. Seattle last recorded rainfall on June 17. And according to the Weather Service, the streak is set to live on — at least for a few days. “Looks like the best chance right now is Sunday with a system moving in,” Gaebel said of ending the dry period. He said it’s about a 50/50 chance a system moving through the area Sunday brings rain at Seattle-Tacoma International Airport, where the service tracks precipitation totals for the Seattle area. “[The system] could spit out a couple showers, and we’ll see if it hits Sea-Tac and ends our drought or not,” Gaebel said. 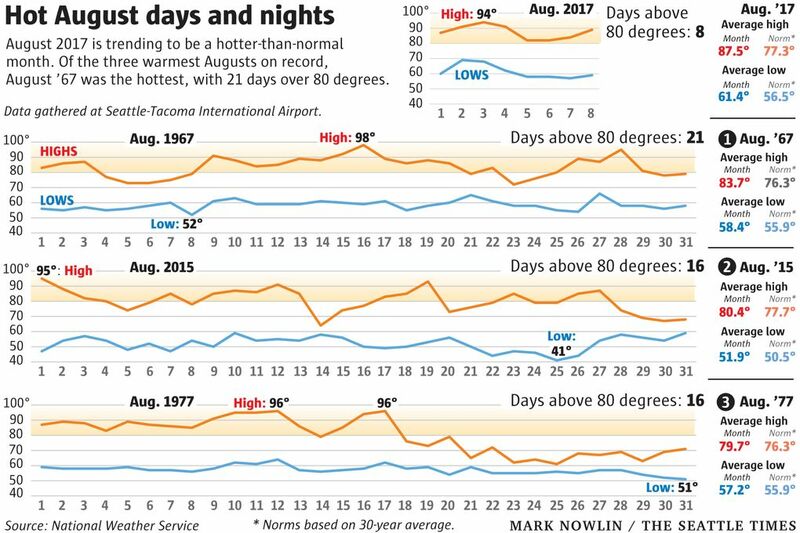 Also, the weather service says Seattle could break its record of 15 consecutive days above 80 degrees this week. Wednesday would mark the 12th day, with an expected high temperature of 83 degrees. The previous records were set in 1977 and 2015. How has the smoke affected your summer? Share your stories with reporter Jessica Lee at jlee@seattletimes.com or 206-464-2532.